Being in Charleston, SC on MLK Day is different than any other I’ve experienced. I am embarrassed to admit that I have not been adequately informed about him nor the extent of his influence. I’m thankful to have been off work today and to have been able to be blessed by what I’ve learned today. 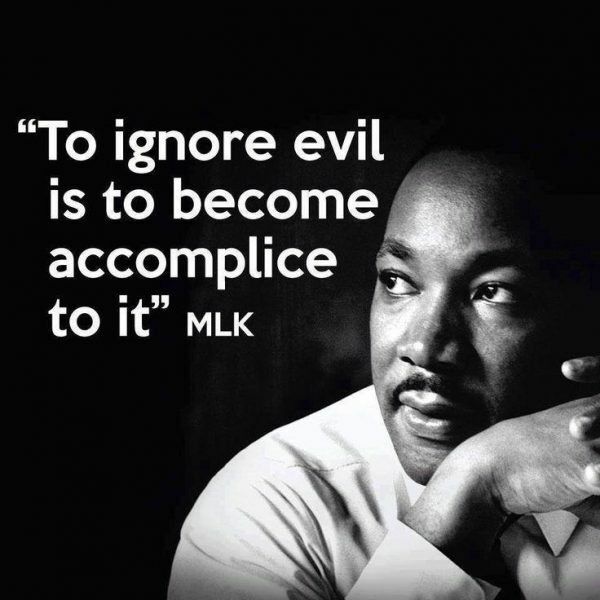 I am humbled, inspired, and encouraged to know that time has only strengthened MLK’s words. 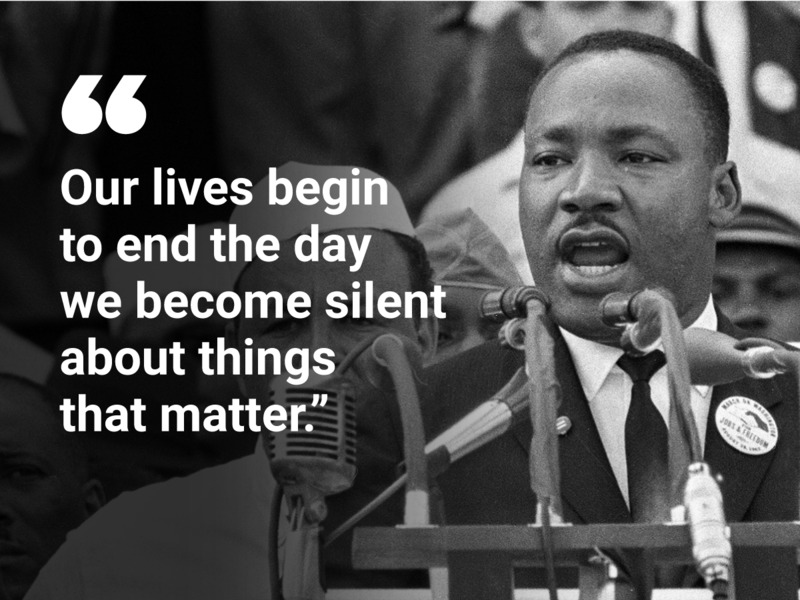 We are still fighting many of the same battles: racism, oppression, and injustice. We still have leaders who abuse their power and mock the title of “leader” by their lack of moral integrity and their willingness to sacrifice the well-being of those they are called to lead for their own selfish gains. In his last speech on April 3, 1968 in Memphis TN, the night before he was assassinated, Dr. King said “I just want to do God’s will“. Facing “difficult days ahead”, he encouraged the listeners to remain courageous and to continue the fight for justice. I am convicted of my own fears that keep me from standing up and speaking out against the injustices I witness within my own profession. I try to do this, but admit I am often afraid and remain silent. 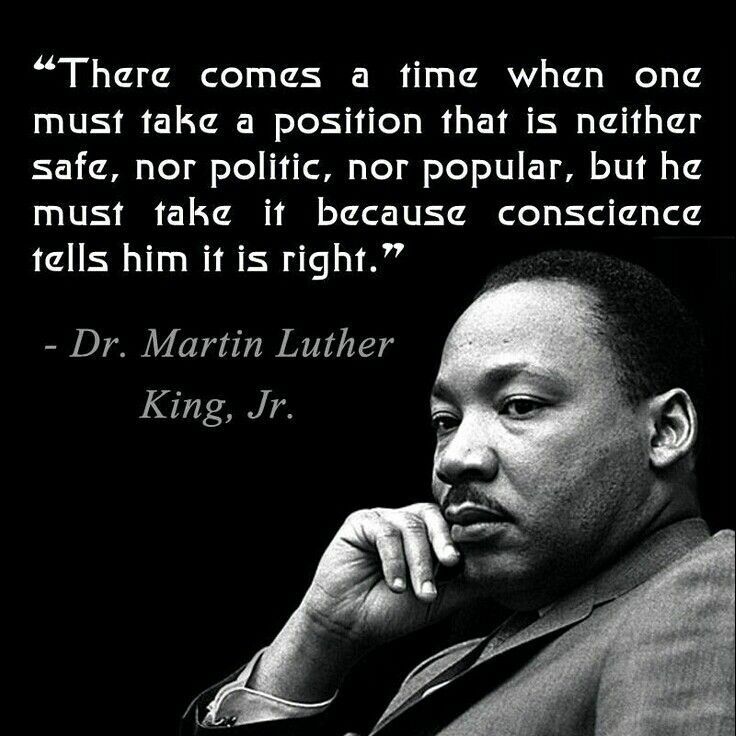 Unlike Dr. King, I am not facing death threats or bodily harm. I pray that I am able to find my own courage, for the injustices God has called me to fight.